This article is 1895 days old. 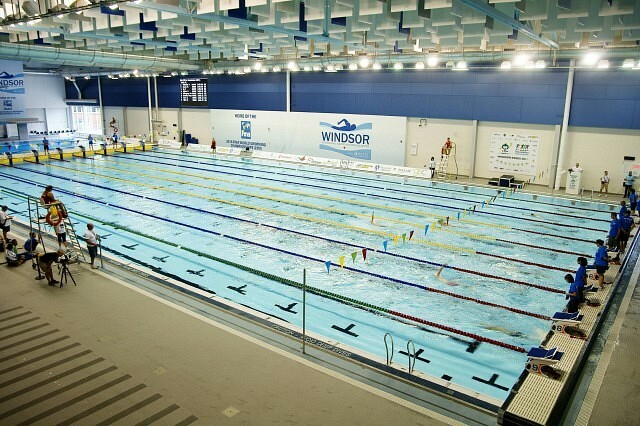 The Windsor Aquatic Club is hosting the 2014 Speedo Eastern Canadian Swimming Championships at the Windsor International Aquatic and Training Centre this week from February 14th through to Sunday, February 17th. The Speedo Eastern Canadian Swimming Championships event is the largest regional competition in Canada. It is attended by swimmers from Ontario, Quebec and Atlantic Canada. It brings together a great mix of Canada’s senior, youth and junior swimmers. Everything is set for this exciting and prestigious event, but WAC could use a few more volunteers to assist over the weekend in the areas of food service, office help, security, and on deck personnel that can be trained on site. Sessions run from 8:30 a.m. to noon and 4:00 p.m. – 8:30 p.m. on Thursday, Friday and Saturday, and from 8:30 a.m. – noon and 3:30 p.m. – 8:00 p.m. on Sunday.